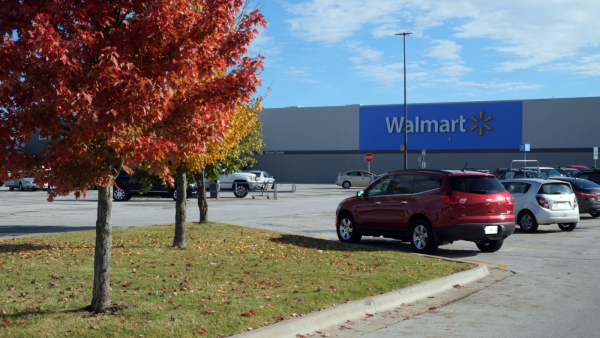 The Walmart in Republic, Missouri, where white supremacist Frazier Glenn Cross Jr. and John Reidle purchased a shotgun used in an April 2014 shooting that left three people dead. If you want to know how a felon buys a gun, think about how a teenager might buy alcohol. First, find a willing friend or family member, or maybe even a stranger at a liquor store who wants to make a quick buck. Then give this person some cash, tell them your drink of choice, and wait. If you’re careful, this transaction — called a “straw purchase” — is impossible to detect. Clerks don’t often hassle a person over 21 who walks alone into a liquor store. The stakes are higher in an illegal gun purchase: It’s a felony. Guns are more expensive. A background check is required. And guns are weapons. As a convicted felon, it was illegal for white supremacist Frazier Glenn Cross Jr. to purchase or possess a gun. Four days before Cross murdered three people in Overland Park, he and a friend named John Reidle went to a Walmart near Springfield, Missouri. 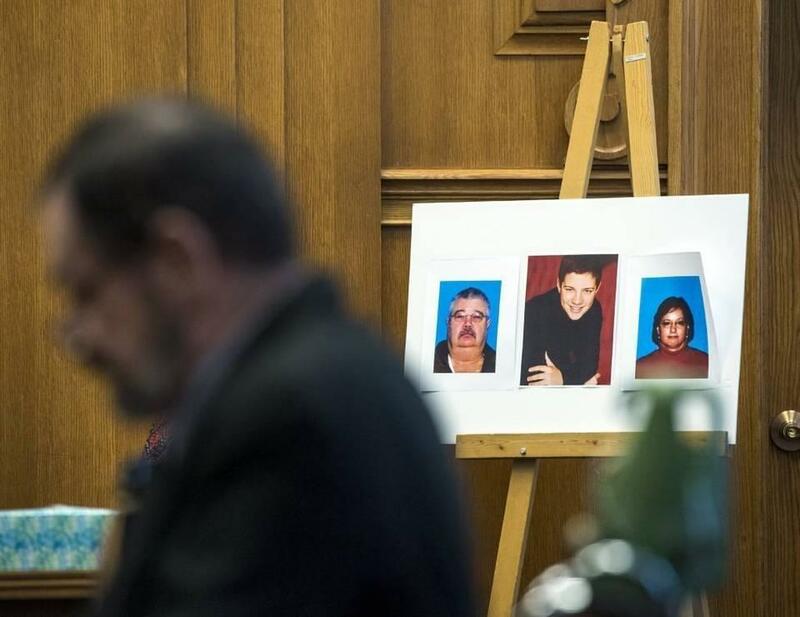 The duo walked out with a Remington Model 870 pump-action shotgun, which Cross later used to kill two of the three victims. Because parts of the court record are sealed, it’s not clear exactly how the purchase transpired. Frazier Glenn Cross Jr. was sentenced to death for killing three people in 2014 in Overland Park, Kansas. Walmart said Reidle told a salesman he was a gun collector. In court filings, the retailer stated that Reidle asked about the gun’s specifications and that neither man “made any remarks or engaged in any behavior” that would have indicated a straw purchase. But lawyers representing two of the victims claim Cross chose the shotgun and initiated the purchase, then said he didn’t have identification with him. Lawyers for Terri LaManno, the third victim, also claim Cross helped Reidle fill out an electronic form for the federally mandated background check, which they say violates Walmart and federal policy. In its response, Walmart said Reidle told the sales associate he’s computer illiterate, and simply needed Cross’ help using the mouse and keyboard — not answering the background questions themselves. Walmart did not respond to a request for comment, and an attorney representing Walmart declined to comment for this story. 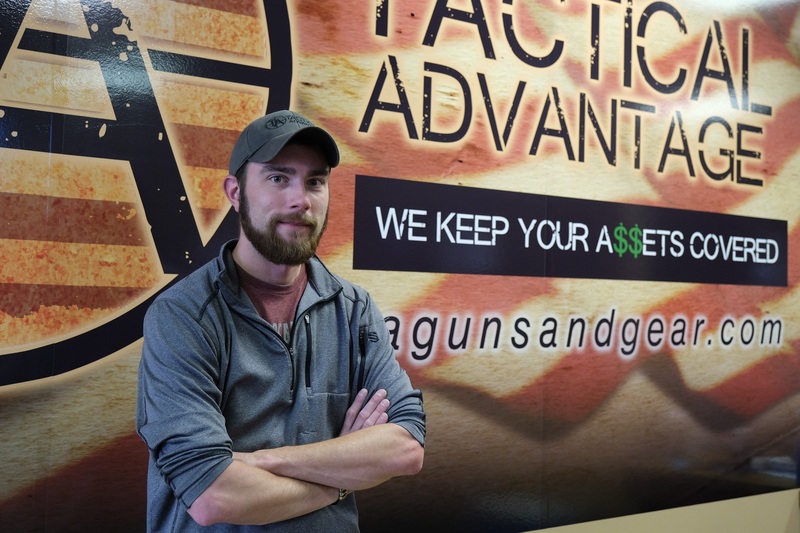 Greg Langner, general manager of Tactical Advantage in Overland Park, Kansas. Two people looking at guns together isn’t necessarily a red flag, Langner said, but their behavior is important. 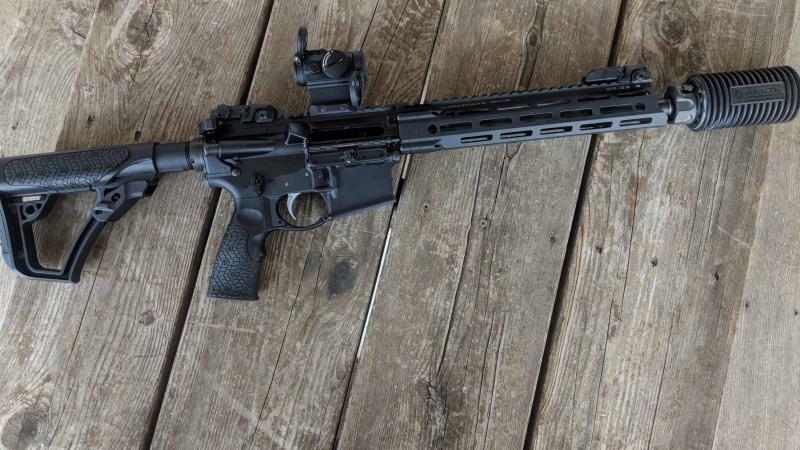 If he has any suspicions, he may try to tease out details from the buyer, such as what firearm they are interested in and how they intend to use the weapon. “You do it very casually, so it doesn’t seem like I’m interrogating you while you’re trying to buy a firearm,” he said. Jon Lowy, who heads the Legal Action Project at the Brady Center to Prevent Gun Violence and assisted with one of the lawsuits against Walmart, has been suing the gun industry on behalf of gun violence victims for more than 20 years. Many of those cases involved straw purchases that he thinks could have been prevented if the seller followed Langner’s advice and simply asked about the gun’s intended use. If it’s true that Reidle represented himself as a gun collector and asked the Walmart employee for specifications, the shotgun he settled on might have been a curious choice: With more than 10 million units sold since 1950, the Remington Model 870 is one of the most common guns in America. Lawsuits against the gun industry generally began popping up in the 1980s and 1990s, according to Timothy Lytton, a law professor at Georgia State University and author of a book about lawsuits against the gun industry. The lawsuits took a few forms. Some argued that makers of small, cheap, handguns — so-called “Saturday Night Specials” — should be held liable because simply manufacturing the gun was an abnormally dangerous activity that was likely to injure people. Other suits claimed negligent marketing, Lytton said, alleging gunmakers advertised their guns in ways that attracted criminals. Lawsuits also claimed gun makers knew their guns were ending up in criminals’ hands because they were selling more firearms than the legal market could bear. Cities such as Philadelphia got in on the action too, arguing that gun violence was a public nuisance. “None of those lawsuits succeeded,” Lytton said. So when gun makers lobbied lawmakers for immunity from lawsuits it wasn’t because they were losing, Lytton said. Rather, the companies didn’t want to have to pay to defend themselves. 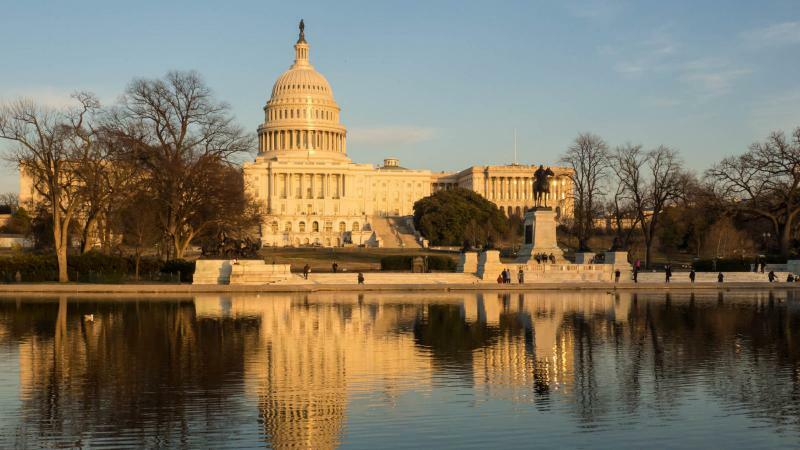 In 2005, Congress agreed and passed the Protection of Lawful Commerce in Arms Act (PLCAA) with bipartisan support. The legislation joined similar laws in 34 states prohibiting most lawsuits against gun manufacturers. Gun makers could still be sued if they sell a defective product — when their guns fire without anyone pulling the trigger, for example — but lawsuits against the industry “pretty much slowed to a trickle,” Lytton said. “If a gun store is involved in the sale of a weapon and they sell the weapon to a person whom they know is likely to use that weapon illegally … then the gun store may be liable for having sold that weapon,” Lytton said. That theory has been used to secure settlements across the country, and it doesn’t just apply to straw purchases. A pawn shop in Odessa, Missouri, agreed in 2016 to pay $2.2 million to settle a lawsuit after selling a gun to a woman with schizophrenia who used the gun to kill her father. The woman’s mother — and victim’s wife — had previously called the store to warn that her daughter might try to buy a gun. She gave the store manager her daughter’s full name, Social Security number and birthdate and told him, “I’m begging of you. I’m begging of you as a mother, if she comes in, please don’t sell her a gun,” according to her lawsuit. In Connecticut, families of victims from the Sandy Hook Elementary School shooting are using the tactic against a gunmaker despite the PLCAA barrier. The plaintiffs claim negligent entrustment in a lawsuit against Remington, which under its Bushmaster brand makes the AR-15-style rifle used by the shooter to kill 26 people in 2012. The lawsuit argues Remington sold a gun that is particularly dangerous and not well-suited for the civilians who don’t have military training, but Lytton said that may be a “distortion” of what negligent entrustment means. A lower court threw out the lawsuit, but the Connecticut Supreme Court is currently considering whether to overturn that decision and allow the case to move to a jury trial. The wrongful death lawsuit filed by victim Terri LaManno’s family against Walmart had been scheduled for a jury trial later this month but the parties reached a confidential settlement agreement last week. Joe LaManno, Terri’s husband, said the lawsuit was partially motivated by his belief that it’s time for the political discourse around guns to change. “I realize that we’ll never replace the Second Amendment, but I think more safeguards need to be added to keep our country safe,” he said. The lawsuit against Walmart by the family of the other two victims — Dr. William Corporon and his 14-year-old grandson, Reat Underwood — was settled last year under similar circumstances. While jury verdicts or splashy settlement announcements garner more headlines, Lytton said even cases that are quietly settled have a big impact. Remington lists Walmart in corporate filings as its most important client. The retail giant has waffled in recent years over how, and where, to sell guns, so even an internal policy shift could impact gunmakers or influence other retailers. Second, the litigation is piling up — there are similar active lawsuits near Wichita, Kansas, and in Boston, Massachusetts, for example. Lytton said plaintiff’s attorneys over time “hone their theories of liability” and sometimes have more success convincing judges to allow cases to proceed to trial. If lawsuits against the gun industry start reaching the trial phase, Lowy said he thinks jurors are more likely to decide in favor of gun violence victims now than in the past.